The Foundation for Education and Development, a long term partner of Andaman Discoveries is interested in starting a new chapter in their organization focusing on community based tourism. 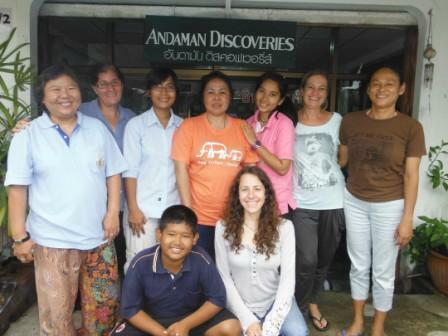 FED staff traveled to the Andaman Discoveries office in Kuraburi. AD Staff consulted with FED on best practices regarding community based tourism and emphasized the importance of using the community based approach. Recommendations included developing a community group, allowing them to choose which activities to have in the program and highlighting livelihoods and culture they feel are important. AD shared experience of setting a queue system in place, so that everyone in the CBT program have an equal chance to participate and a Community Fund so all communities members benefit. This also makes it a team effort and deters from it becoming too competitive. They would like to start day tours to the Burmese and Moken areas in Kao Lak, a typically mass tourism destination, to allow visitors to learn more about local culture and everyday life in a sustainable manner. 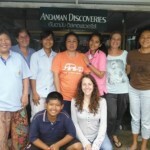 Andaman Discoveries hopes to support FED with their tours when they are up and running.